Ok, these days had been really busy. Lots of things going on around this little sphere we call Earth. But one new shock me down. On June 28th an incredibly mature and focused young man (just 15 years old), Xiuhtezcatl Roske-Martinez, stand up and spoke in front of, more or less, the representatives of 200 countries. His message was clear, sharp, bold and impeccably addressed. I guess it is not surprising coming from someone who has 9 years as climate activist in front of a non-profit organization, has appeared in TED Talks, has received the 2013 United States Community Service Award from President Obama, and was the youngest of 24 national change-makers chosen to serve on the President’s youth council at the same year. Well, I don’t know all the great things this teenager has done so far (again he is just 15) but I am sure that many of us would like to be done some of what he is doing now. Because there is a difference between calling this planet Earth or OUR World, in treating it with the respect it deserves or continuing sucking life from it without recognition of the wonders it holds. Ok, this post it is going to be really short (btw… that is the way I think every time I am writing a post… usually it didn’t work as I desire). I have being (officially) absent of this blog for a while, at least that is what my worried app of WordPress is telling me by sending me an email with the following subject: “We’ve miss you, we hope to hear from you soon”… that totally made my day, I mean, it was pretty sensible for being a (ro) bot. 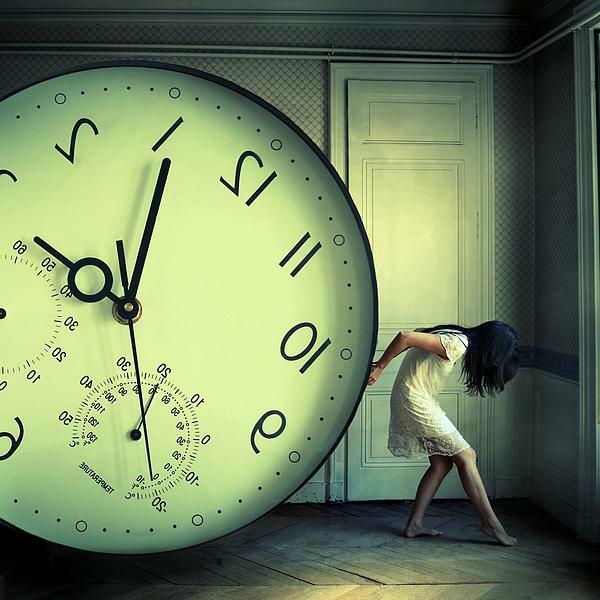 Anyway, I wasn’t so disconnected from here ( and my 13 drafts for posts are an invisible proof of that), however, I do need some time for a little bit of editing :S … hope to find that window of time soon! In the meanwhile, I could not avoid spreading to every corner I can one of my favorites (and recently assumed) addictions: TED Conferences! If you have not hear from them, I am happy to tell you that you just win a ticket to explore the universe from inside a rocket in a very exclusive flight, one way only, to Mars!! (Yeah, that was my overreacted way to say that you should be ashamed) Well, getting back to business, TED Conferences have being there for over 30 years, and they have cover almost every subject imaginable, from arts and photography, Rubik’s cubes, social science, environmental problems, engineering and medicine, to beatboxing and Ig Nobel Prizes. It is amazing, not just because of the quality of the Talks (the issues analyzed, the speaker, the way she/he deliver the message, the questions, the material/information/data shown) BUT (yeah, it is a big but) for all the indirect knowledge that you, in a personal experience, can get from it. Sometimes, just one phrase absolutely twist your perception about a subject, or carries you in a totally different trip (as valuable as the main one), sometimes makes you remember something you ask yourself a while ago. So, take the reason you want, whether is practicing your English, filling some free time, finding out amazing performances, researching about disability, justice, religion or technology, finding inspiration. Just go there and watch a TED Talk, just one. I promise it is enough. I started like that; it was Diana Nyad in December 2013. Hi, my name is Rosalia, and I am addicted to TED Talks… and I am proud of it! I woke up, like any other day, do my everyday activities, I get to the lab and start to read some news, suddenly I discover yesterday was just not another day … yesterday was one of the most sad days for the people in this world, the people who believe in equality and peace, human rights and education as basis for a better world, today Nelson Mandela dies. I don’t know what other people think about this, some may be surprised about me writing about a “politician” or think I’m just being mainstream in this issue (you just talk about it because everybody does) or maybe because I’m bored and have nothing to do but this … well … they are all wrong. 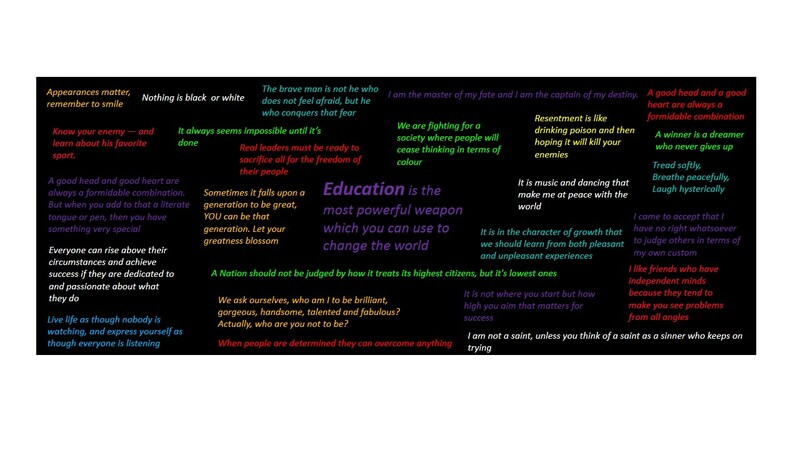 I’m writing about Mandela ’cause I think it’s worth that people from all generations (specially the Miley Cyrus/Justin Bieber generation) remember who this person meant, what he did, what people in nowadays’ world need to thank him for, what is his legacy and what can we do to honor his memory. He was formed in Arts and Laws. In both cases he interrupted his studies, but never stopped. He enter in the university to study Arts but was expelled because of his participation in manifestations and protests, he finished after transfer to another university. Years after, he started to study Laws, but dropped the university for having low grades. Later, he returned to his studies and finished them while he was in prison. Most of the biographies say that he fought for the equal rights of black people, not only in South Africa, but in the world, joining Gandhi’s pacifist politics. Actually, I think it’s wrong. He fight for equal rights for all people, from any race, age, culture or social background. He believed in a world with same conditions, in which everyone could live. He was the most fervent opponent of apartheid politics. He won the Nobel Prize of Peace in 1993. In 1995, he showed to the world how a leader could make some actions work, he conciliated the world thought sports, he has clever enough to saw an opportunity to make an impact through something as simple and strong as rugby. Liberty, Equality, Dignity, Conviction, Getting involved and Peace are the most present words in his speeches. In November 2009, UN announced that Mandela’s birthday would be celebrated around the world as the International Day of Mandela, an initiative to stimulate every citizen to dedicate 67 minutes to social causes – a minute per year that Mandela dedicated to fight for racial equality. Por alguna terrible (casi autodestructiva) coincidencia terminé dando con esa canción de Ricardo Arjona(#SoyConsiente mi IQ acaba de caer 10 ptos por lo menos) llamada “La mujer que no soñé jamás”… si ya sé, el name es medio dramático pero no soy responsable de eso! jum! … para los afortunados que nunca han escuchado esta canción sólo se trata de un tipo que confiesa al mundo que está irremediablemente enamorado de una mujer completamente contraria al perfil de #MujerPerfecta con la que él siempre soñó. No sé si fue el cambio climático, la desesperación porque #NoExistePrivacidadEnInternet (#ObamaLoSabeTodo), la falta de cafeína, las frentes heladas que tienen a Brasil a -1°C (#TengoCongeladosHastaLosMalosPensamientos) o por cualquier otro motivo … pero decidí prestar atención a lo que decía la dichosa cancioncita #GraveError. La primera estrofa dice “La de lentes, la pasada de moda, la aburrida, la intelectual, la que prefiere una biblioteca a una discoteca, es con la que vivo yo”. A ver, personalmente entré en una confusión, yo no uso lentes, no creo estar taaaaaaaaaaaaan pasada de moda, y definitivamente no me considero aburrida #SelfEsteemUP, ahora … si soy intelectual (#ComputerScienceModeON), uno de mis lugares favoritos en la vida son las bibliotecas y la librerías …. (so???? qué tiene de malo eso, eh???) y bueno las discotecas no son divertidas por si solas … digamos que la diversión la pone la compañía … entonces los antros pasan a un segundo plano. La canción sigue diciendo algunas otras cosas algunas triviales y otras algo dramáticas, sin embargo, lo que me pareció interesante es que sin importar la modernidad del siglo XXI algo parece permanecer igual … esa manía de la mujer y el hombre perfectos, los ideales, los príncipes y las princesas … pero … sinceramente … no les parece un poco tirado de los pelos? Miles de veces escuché a una amiga decir “Maldito Walt Disney, y su estúpido argumento del príncipe azul en caballo blanco salvando a la princesa”, y debo confesar que en un 80% de las veces pensé que sólo era una forma de desfogar algún tipo de depresión momentánea. Lo curioso es que ahora que tengo menos tiempo, más desvelos, más cuestionamentos de vida o muerte, y obviamente más confusiones sentimentales más disposición, entendí un poco más a qué se refería. Empecemos por casa, osea … haciendo #HaraquiriEmocional empecemos por cuestionar el ideal en la mentalidad femenina. Primero, no estamos en época de príncipes … osea la mayoría de países no tienen ni monarquía ni familia real (Si yo sé … el príncipe William y Harry existen … blablabla … pero ya pues … sólo los vas a conocer en figuritas, y si alguna lectora llega a conocer al príncipe Harry siéntase en completa libertad de mandarme al diablo, eso si, por favor adjunte una foto suya abrazando al príncipe, ok?) entonces la probabilidad de que tengas una relación romántica con un verdadero príncipe anda en negativo. Segundo, no existen las personas azules, y a menos que estés dispuesta a comprometerte emocionalmente con un dibujo animado (#QueVivanLosPitufos) debo decirte que tienes menos probabilidades de encontrar a tu ideal de las que Perú tiene para ir al Mudial #MatemáticamenteSiSePuede. Ahhhhh y eso del caballo blanco olvídate … aunque podría negociarse … no es algo que vayas a tener de primera mano, los medios de transportes más probables son: sus 2 piecitos, bicicleta, moto, auto o … transporte público =) (ya saben chicos caballo blanco es un #GolasoDeEntrada …. #SoldOut). Tercero, ese cuento de “vivieron felices para siempre” … no sé … pero si me preguntan a mí, preferiría un “vivieron intensamente el tiempo que tuvieron juntos, dieron todo el uno por el otro, no tuvieron reproches, y sobre todo se amaron tal como eran” pues aunque no durara para siempre si que estaría segura de que aquella persona me amó mientras estuvo a mi lado. Entonces, no es mejor despreocuparse del final feliz y disfrutar de un inicio extraordinario y una parte del medio llena de aventura? Yo creo que si. Para ponerle broche de oro, #EstoNoTieneQueVerConWaltDisney, particularmente creo que la perfección está sobreestimada, a veces una buena dosis de locura, arrebato, aventura, y sin razón es lo mejor de las personas. So, girls, #LooseYourselvesALittleBit dense permiso para hacer tonterías, tal vez no encuentren a un príncipe pero si un apuesto y perfecto cómplice, que aunque un poco loco, y algo gris (un color muy interesante por cierto), logra hacerlas reir como nadie (eso no tiene precio). Ahora si, luego de una resurrección moral, vamos con los caballeros. Primero, guys, dejen de buscar la eterna #DamiselaEnPeligro, a la cual rescatar del castillo encantado luchando contra monstruos y dragones. 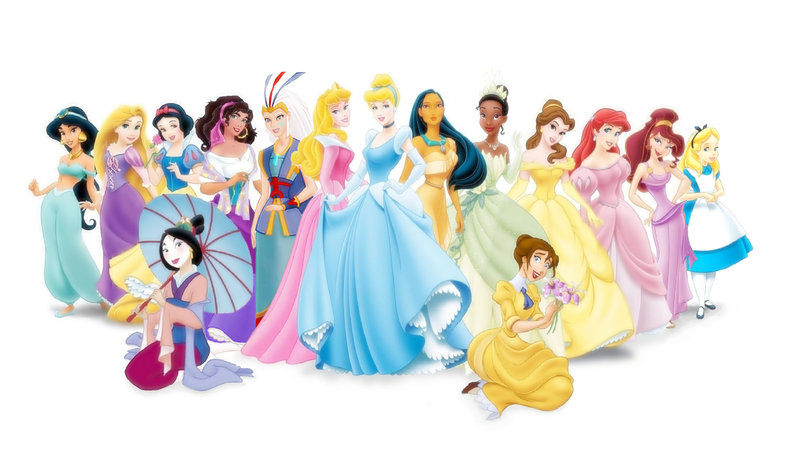 Las damiselas hoy en día no somos taaaaaaaaan indefensas como los personajes de Disney, es más es casi una necesidad saber defenderse en el mundo de hoy, no me malentiendan, aún nos gusta (más que necesitar es gusto) que “un hombre fuerte nos defienda ante la adversidad” o “nos contenga con un abrazo cuando nos sentimos mal” ahora … es adversidad/momento-de-llanto … no que nos quiten la libertad bajo la excusa de protección … eso de tener a alguien encima hasta para ir al baño no da más, y menos desenvainar la espada para luchar cuerpo a cuerpo con la tapa de un frasco (o.O). Segundo, aunque a mi me obligaron a llevar etiqueta social de pequeña, no es algo común, así que ni todas las mujeres somos ladies, ni andamos con el dedo meñique levantado 24/7, algunas somos algo pandilleras #DeCuandoEnVez o un poco bulleras (qué fue??? ni que fuera taaaaaaaaaan malo). Ahhh y eso de ser pura dulzura y delicadeza también es dosificado, yo creo que las personas (no sólo las mujeres) tenemos nuestros momentos dulces, en los que somos miel, en los que queremos mimos, y en los que queremos mimar, ahora … también tenemos momentos en los que estamos con la reacción equivocada a flor de piel, somos extra sensibles, somos más ácidos que chupar un limón, y momentos en los que somos hasta groseros (#MeaCulpaMode). Todos esos son momentos, y muchas veces no aparecen al inicio porque les ponemos un filtro, de modo que sólo se hace visible lo más bonito (#QueVivaElMarketingEmocional) … ahora mientras más cercana sea la relación se va perdiendo ese filtro y todo comienza a aflorar … lo importante es saber que no representan un absoluto de aquella persona. Tercero, las chicas de hoy en día no somos la imagen de las princesas de Disney, osea nada de andar buscando #Barbies, con look de angelitos, de mirada inocente y miles de talentos (canta, baila, cocina, hace magia, etc … esto está peor de el casting para #AmericanIdol). La mayoría somos extraordinariamente estándar, es decir aunque somos aparentemente normales también somos maravillosas si se tiene el tiempo para descubrirlo. Como dice el pin “I may not be perfect, but parts of me that are pretty awesome”. Puede que realmente no tiene nada que ser contigo y resulta que no funciona, no va ni pa’ arriba ni pa’ abajo (ni agua ni chocolate). Ante esta situación sólo te puedo decir que #GanasteExperiencia y tienes una prueba experimental #QuasiCientífica de que, si pues, tenías razón, esta vez. O, puede que simplemente te sorprenda a morir, puede que aquella persona estadísticamente errada para ti (respecto a tu estándar) sea exactamente lo que necesitas, sólo que no tenías idea, y casi te lo perdiste #PorTaba. Entonces … no sé ustedes pero en lo que a mi respecta creo que es una de las mejores ideas de la vida … “despreocúpate, déjate de parámetros, pruebas y medidas ….. y deja que fluya”. Por razones absolutamente ajenas a este blog hoy recordé mi encuentro más lejano con la Literatura. Dice la leyenda (mi generosa Madre … quien tiene muy buena memoria para cualquier instante de mi vida de niña) que desde muy pequeña siempre fui un poco inquieta y curiosa, siempre quería ver lo que estaba en la mesa, ver las revistas, curiosear entre los papeles, y hasta “leer el periódico” con papá (jajaja! claro está, eso de leer era cuento). Dado que mis padres trabajaban me quedaba al cuidado de mi Tía Yola, y compartía mucho tiempo con mis primos, tanto que siempre quería hacer todo con ellos, especialmente con mi prima (la cual creo que de vez en cuando me cogía de muñeca … es más, creo que hay pruebas de ello …. #SiguienteMisionDesaparecerEsaFoto). Tal fue el afán de hacer las mismas cosas que un día (para ser más exactos el primer día de clases del año) al ver que mi prima entraba en su salón de clases, solté la mano de mi tía y me metí de colada a su salón (estoicamente arrebatada yo …. aish …. algunas cosas no cambian … en fin). Curiosamente, no estaba mi madre, y ni mi tía ni poder alguno en la faz de la tierra pudo hacerme salir de ese salón, al menos no sin el correr el riesgo de un llanto universal quiebra-corazones … como resultado: entré al colegio; edad: 2 años :). He contado esta anécdota más de una vez, pero sólo una persona me hizo un comentario interesante (por supuesto apoyada por su desconfianza en el asunto): “Ahhhh eso es lo que dice tu tía … de ahi a que sea lo que pasó es otra cosa” … entonces quedé realmente asombrada con la increíble capacidad del cerebro humano … la verdad es que nadie me contó esa historia ni mi tía … ni mi madre (la primera vez que ella la escuchó fue porque yo se la conté) … simplemente … por esas cosas del destino … recuerdo ese pasaje de mi vida con una claridad inconfundible … es más hasta recuerdo el nombre del salón: “ositos” … #LoSeDemasiadoTierno. A partir de ese momento no pasó mucho hasta que aprendí a leer y mi padre llenó la biblioteca de la casa con casi todo libro que encontraba apoyado por una fuerte lógica de pensamiento: “Para cuando quiera leer aventura, para cuando quiera leer de computación, para cuando quiera leer de arte, ciencia, filosofía, etc.”. Es más, recuerdo los infaltables libros sobre deportes y la historia del fútbol … jajaja. Mi madre, por su parte, decidió apoyar el anhelo de mi padre de convertirme en una lectora empedernida (btw a ninguno de los 2 les gusta leer demasiado … fue sólo que querían que yo realmente lo disfrutara … #TengoLosPapisMasListosDelMundo). Fue así que comenzó a llevarme de paseo a los centros comerciales de la época para visitar aquellas pocas librerías, buscando algo más cercano a mi edad. Entonces aparecieron ellos, esos libros que quedarían por siempre en mi memoria: la colección “para cada día”(como los llamaba yo), el “Gran Libro de Carlitos”(Yo hasta ahora lo recuerdo cómo el ‘Por qué de Carlitos’ … ignoro la razón del cambio de nombre) y el “Gran Diccionario de Carlitos”. Ahora … mucho tiempo después leo cosas muy diferentes: desde filosofía e historia, hasta libros de matemática y tecnología, algunos de pensamiento muy abstracto e intrincado … y hasta me tocó leer en inglés, portugués y francés … sin embargo, NADA en el mundo se compara al recuerdo de mis primeros libros … la sorpresa de descubrir que los peces pueden vivir fuera del agua, las civilizaciones antiguas, los inventos, etc … simplemente MAGIA. Si tienen niños pequeños en casa o de alguna manera próximos … háganles el regalo más impresionante que pueden tener: ábranles la puerta al mundo … regálenles un libro. Lunes 8 de abril 23:03:27, zona horaria: São Paulo, Brasil … La respuesta a una pregunta me sorprende y me deja tan solo una frase en la mente: “rayos!cómo me gustaría poder viajar en el tiempo” … una cosa lleva a la otra … y de pronto aquella frase me lleva a algo más concreto, sin saber qué converso con un amigo, de pronto él tiene la clave de todo … en tan sólo una línea escribe: “Back to the Future”. A manera de cultura general diremos que la saga se trata de los viajes en el tiempo de Marty McFly (pasado, más pasado que el pasado, futuro #YouNameIt), por supuesto,con la impresionante ayuda del genial (#reverencias) Dr. Emmett Lathrop”Doc” Brown, ambos se ven envueltos en una serie de aventuras para intentar resolver asuntos y enredos con el cuidado necesario para no desencadenar trágicos eventos que puedan causa un cambio dramático en la línea del tiempo (incluso al punto de comprometer sus propias vidas y la de sus seres queridos). Se trata de una saga de 3 entregas, muy buenas las 3 debo decir, con escenas absolutamente memorables (nadie puede olvidar el solo de guitarra en el baile de graduación de la primera entrega: LO- MÁ-XI-MO!!) y una carga de humor envueltas en una película de ciencia ficción con un sabor de realismo cada vez más impresionante (se acerca el 2015!!!!!). Está en el top ten de las mejores películas de SciFi, ha sido citada en el State of Union, está preservada por la Biblioteca del Congreso de los Estados Unidos (por mi también!!! ), etc, etc, etc. Basta de generalidades …. hora de algunas curiosidades. El guión de la película fue rechazado 40 veces antes de tener luz verde. Fox era un hábil stakeboarder antes de filmar la película, y no es cierto que aprendió a patinar en la película. El mítico solo de guitarra fue doblado, Fox no sabía tocar guitarra en ese momento. Sin embargo, ahora lo hace perfectamente aún sufriendo de Parkinson. Fox trabajaba al mismo tiempo en una serie de televisión (“Family Ties”) y sólo le fue permitido filmar BTTF con la condición de cumplir en pleno con su trabajo en la serie, se dice que dormía un promedio de 5 horas diarias y que la mayor parte de la película fue filmada de 6 p.m. a 6 a.m. Las escenas de día eran filmadas los fines de semana. La casa del “Doc” Brown es actualmente un Museo Histórico de Pasadena, California (aqui!). Los Screen Actors Guild no puede tener a 2 personas registradas como ganadoras bajo el mismo nombre. Por eso Michael J. Fox agregó la letra “J” a su nombre. Hay sólo 32 efectos especiales filmados en toda la película. 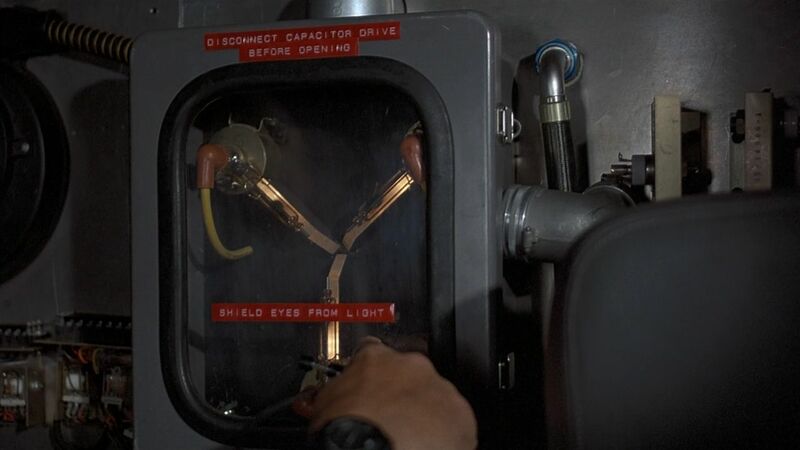 Las 2 etiquetas del condensador de flujo dicen “Disconnect Capacitor Drive Before Opening” y “Shield Eyes From Light”. Fueron usados 3 DeLoreans para filmar la película. Desde el día en que terminó el rodaje hasta el día en que se estrenó pasaron sólo 9 y media semanas, un tiempo ridículamente corto para el lanzamiento de una película de su categoría. El día actual de la película es el 26 de Octubre de 1985. Sin embargo, la película se estrenó en USA el 5 de Julio de 1985, de modo que la audiencia estaba realmente viendo el futuro!! El día más esperado por los fans es el 26 de Octubre de 2015 día que Marty marca en el DeLorean en su viaje al futuro. Steven Spielberg coloca un saludo a Stanley Kubrick durante los primeros minutos de la pelicula colocando “CRM 114” como el primer dial que aparece en el equipamiento del Doc cuando Marty lo busca y no logra encontrarlo. 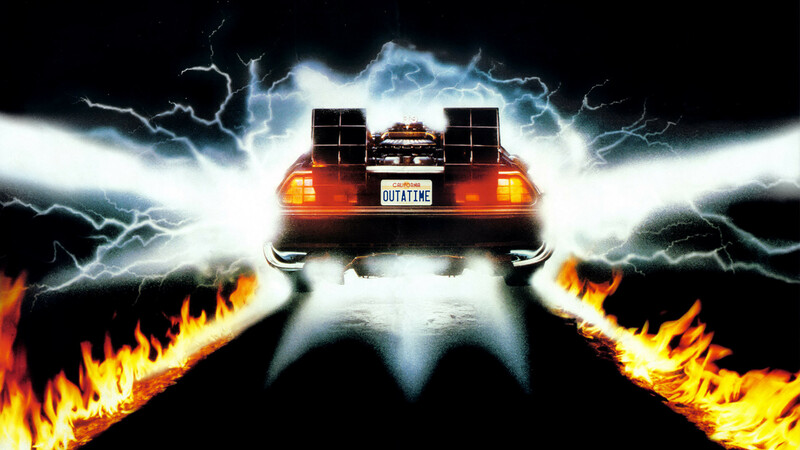 Asombrosamente, BTTF 2 nos dijo algunas cosas sobre el futuro: unas fueron acertadas y otras no(#QuieroUnAutoVolador!). La mayoría de la vestimenta de Griff, en particular sus botas son parte del vestuario de Star Trek: the next Generation. En BTTF 2 la película que están pasando en el cinema es Jaws 19 y es dirigida por Max Spielberg, el hijo de Steven Spielberg. En cada una de las películas se repite una misma situación: Marty llega a un lugar de bebidas, y casi inmediatamente después aparece un Tannen gritando “Hey McFly!”. El reloj de la torre empezó a funcionar el 5 de Setiembre de 1885 a las 8:00 p.m. (la evidencia al final de BTTF 3). El rayo cayó el 12 de Noviembre de 1955 a las 10:04 p.m. Eso significa que el reloj funcionó por 70 años, 2 meses, 7 días y 4 minutos. Los stickers en la camioneta del Doc dicen: “Dr. E. Brown Enterprises 24 Hr. Scientific Services” y “One nuclear bomb can ruin your whole day”. 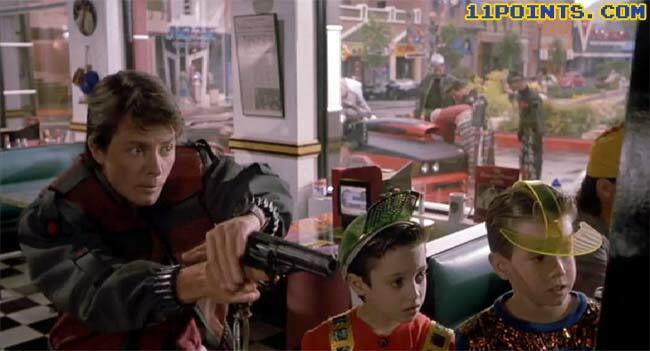 Creo que muy pocas películas han logrado mantenerse con el nivel de vigencia que ha tenido BTTF, han pasado ya 28 años desde que se estrenó la primera parte de la saga, y 23 desde que se extasió al mundo con la “última”, si, la última pues de acuerdo con los productores no se realizará una cuarta entrega de la historia. Por supuesto, me parece una decisión realmente espectacular, pues decidieron por el bien de la historia, su trabajo, y su legado (vamos! todos sabemos que hay secuelas que se realizan a “pedido del público” y por razones meramente económica y que terminan o mejor dicho empiezan siendo un fiasco y terminan aún peor). Todo lo referente a la franquicia es objeto de venta, artículos de escritorio, e incluso los nombres(estoy segura que existe + de un Marty McFly en el mundo)la trilogía está disponible en todos los formatos que existen (la última edición es del 2010 en Blu-ray!! )y en más de 14 idiomas.Ha sido foco de artículos y entrevistas por parte de todos los gigantes del mundo: NY Times, The Independent, Wall Street, NBC, etc . Es realmente increíble, casi espeluznante lo mucho que puede motivar esta saga, la fanaticada alrededor de ella es tremenda, la gente en las redes sociales está siempre pendiente, los eventos, las celebraciones, los concursos, en fin es una comunidad altamente activa que al parecer tiene para rato.